Many Pennsylvanians are animal lovers, and dogs are the most commonly owned pet in the United States. However, they come with potential risks, as well as potential heartbreak if your dog bites someone unprovoked. Animal attack cases are among the most emotionally complex to navigate, as the stakes are high for both the plaintiff and defendant. Either way, understanding Pennsylvania’s dog bite laws is critical if you have found yourself in a situation where your dog has attacked someone. Perhaps the most important thing for a plaintiff to remember is that in Pennsylvania, strict liability for dog bites does not exist for medical expenses. Strict liability is when liability can be imposed on someone regardless of whether they were negligent or careless, unlike in standard negligence cases, where personal negligence has to be proven. In many other states, dog bite cases can fall under strict liability because owners are held responsible for the actions of their animals – if a dog bites someone without provocation, it is because the owner’s due care has failed. Liability has to be established in Pennsylvania, meaning that the same points must be shown that one would have to show in any other negligence case. In Pennsylvania, the dog owner must have prior knowledge of the dog’s vicious tendencies or propensities in order to be held liable. Generally, if a dog has displayed the temperament or propensity to be dangerous, the owner is more likely to be liable, even if that dog has never bitten anyone before. A standard negligence case requires four things – a showing that a duty to exercise reasonable care existed, a showing that the duty of care was breached, a showing that the defendant’s conduct was a cause of the breach, and actual harm done to the plaintiff. However, sometimes a court will hold that a dog owner was negligent if they break a certain law, such as failing to keep their dog appropriately restrained as required by state law. Be advised that even if you are able to establish the requirements for negligence, it may be that a dog owner can assert what are called affirmative defenses. Affirmative defenses are statements that, if true, mitigate potential liability. 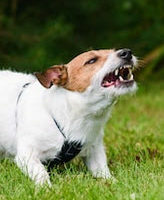 For example, Pennsylvania law holds that if the plaintiff was trespassing in the yard where the dog happened to be, it may be an affirmative defense because it can be argued that the plaintiff assumed the risk of surprising the dog, causing it to bite. General assumption of the risk is another affirmative defense – if a person walks into a yard which bears a “Beware of Dog” sign, it is reasonable to assume that they saw it, understood it, and continued on anyway. As beloved as dogs are by so many people, sometimes they can do dangerous things, and when that happens, their owners have to answer. If you have been harmed by someone’s dog, contacting an experienced Scranton dog bite lawyer is a good step to take. The Needle Law Firm serves those in Honesdale, Montrose, Scranton, Stroudsburg, Lackawanna County, Monroe County and Susquehanna County. Call our offices today for a free consultation.